We here in the Snowbasin Resort Group Sales office would like to personally invite you and your club, company or organization to experience all that Snowbasin Resort has to offer! We are proud to offer you great group discounts on lift tickets, special events and all of the great activities that make Snowbasin Resort so special. Our professional sales staff is dedicated to helping you plan and organize a memorable experience for you and your group here in the beautiful Wasatch Mountains in Northern Utah. With our help, we know we can help in creating the best day ever for your group. A group is considered 25 or more participants on a specific day, with one form of payment, made 48 hours prior to your day at Snowbasin. One free comp ticket is available for every 25 tickets sold. Groups are not limited to just skiing as we have activities that are fun for everyone including snowshoeing, Nordic skiing and more. Get a group together! All you need is 25 friends, neighbors, family members or co-workers to come spend some time with us. If I have 15 skiers and 10 snowboarders, do I still qualify for group rates? Of course! Any group of 25 people or more enjoying one of the many snow sports activities qualifies for a group rate. What types of discounts are available for my group? If you qualify as a group you can save up to 25% off the window rate on lift tickets. Once the tickets have been purchased they can be picked up at the activities desk inside Earl’s Lodge. If you have any questions or need to adjust your group ticket order, please contact our tickets manager Kimberly Bryan at 801-620-1043. Snowbasin Resort is delighted to offer the following Corporate Programs for you and your company to choose from. In today’s work environment, it is difficult to find, hire, train and keep good employees. Special employee benefits often make the difference. Snowbasin Resort’s Corporate Lift Ticket Program allows companies like yours to receive lift tickets that are discounted up to 30% based on quantity purchased. Snowbasin Resort offers the following flexible options, but please feel free to contact us and we will customize a program to fit your needs. The following is a sample of our corporate programs. Please call for pricing and program details. 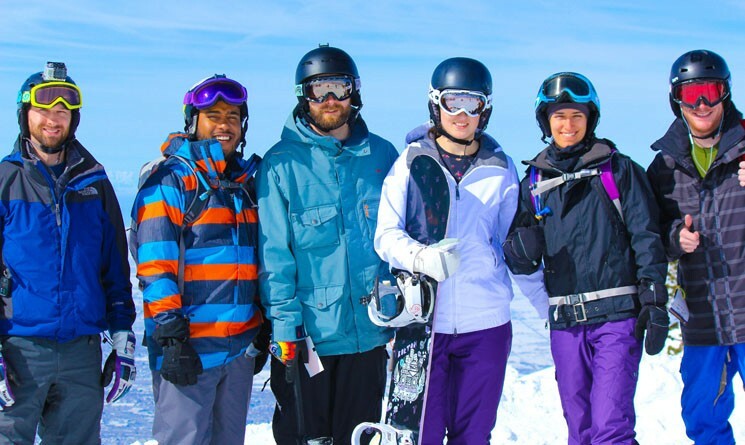 Retreat to Snowbasin Resort for a day of fun with clients or work associates. Let us customize your Corporate Group Ski Day. The following items are a few ideas of what we can include in your personalized Corporate Getaway (Group Ski Day). Snowbasin Resort is not responsible for lost or stolen tickets. Price is based on customized program. Let us help you create a corporate program that is certain to make an impression! We look forward to speaking with you soon regarding our unique programs.